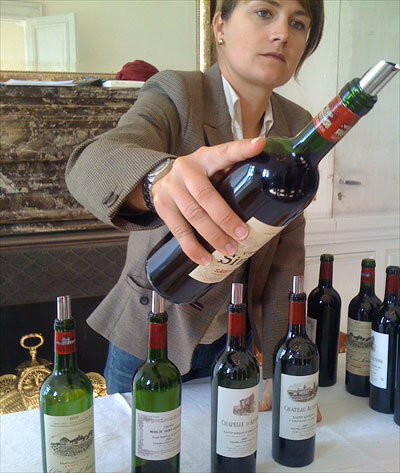 In the last two postings I wrote about the Bordeaux 2009 left bank primeurs. 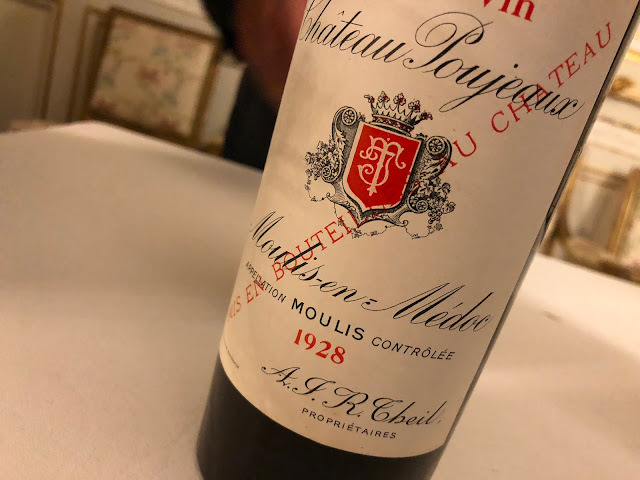 In this summary part 3 of the long tasting week in Bordeaux I dive into the right bank wines: the primeurs from the appellations Saint-Emilion and Pomerol. Across the board I had a slight preference for the left bank wines - in 2009 the overall quality in the Médoc is quite high; in Saint-Emilion we also encountered some ugly wines. But in this posting I will only talk about the beauties. Especially in Saint-Emilion you find modern Bordeaux's that can be very massive and ripe, even too much so. It won't come as a surprise that in the warm and sunny 2009 vintage big wines have emerged (for details on the weather during the growing season see the previous posting). Some of these are too hard to handle for me. But as said, let's focus on the good stuff here. 1. Château Cheval-Blanc 2009 (65% of the total volume for the grand vin, 60% merlot, 40% cabernet franc). The most attractive Saint-Emilion that I tasted. Very pure, classic and fleshy wine. Structured and balanced. Good - masked - acidity, freshness. Grand Bordeaux for the long term. The 'completeness' of the picture impressed me (9+/10). Le Petit Cheval 2009 (just 15% of the total volume, 65% cabernet franc, 35% merlot). Interesting fact: the quality of the fruit for the second wine is the same as that of the grand vin (and from the same terroir), it is that part that is left after the assemblage has been made. The lesser fruit is sold of (to Albert Frère), for the future a third wine is announced. The Petit Cheval is very good too, with powerful intense fruit and ripe tannins. Succulent and fat juice (8+/10). I also liked La Tour du Pin 2009 (formerly La Tour du Pin Figeac) very much. Same style, but not as layered (8/10). 2. Château Ausone 2009. A more polished cru. Bordeaux towards perfection. The fruit is beautifully round and ripe, and the tannins are soft. This is harmony and seduction. Impressive, beautiful wine (9/10). La Chapelle d'Ausone 2009 has very expressive fresh and ripe fruit. Juicy and soft, very approachable already (8/10). Château Ausone. Tasting Ausone 2009 with Alain Vauthier's daughter Pauline. 3. Château Bélair-Monange 2009 (formerly Bel-Air). Quite powerful, dark-sweet matière, fine acidity. Complete and refined. Lovely dark red fruit with a pleasant freshness (8,5/10). 4. Château Figeac 2009. Serious wine, modest start. Classic style, for the long term. Pure stuff, good fruit. Freshness and elegance (8+/10). 5. Château Canon 2009. Another classic style Saint-Emilion. Dark purple, solid structure. Ripe fresh firm fruit. Serious wine. Long. And for the long term also (8+/10). 6. Château Larcis-Ducasse 2009. Attractive freshness, and ripe too. This wine exhibits very vital and hearty fruit, and there is a fine mineral touch (8+/10). 7. Château Pavie-Macquin 2009. Ripe fruit with chalky touch. Firm, convincing and good (8/10). 8. Château Magdelaine 2009. Sweet and ripe in a modest way. Flattering wine, no hardness, altogether a very attractive wine (8/10). I also liked two other Moueix wines: the Château Puy Blanquet 2009 and La Serre 2009. 9. Château Beau-Séjour Bécot 2009. Purple and ripe. Intense dark fruit, bit of sweetness. Powerful wine, quite modern. Tannins (8/10). 10. Clos Badon Thunevin 2009. Again a fine effort! Very lively red fruit, quite concentrated. Powerful and spicy on the tongue, intense and ripe, expressive wine (8/10). 11. Château de Valandraud 2009. Dark, powerful fruit. Quite low acidity. Mineral fruit. Very concentrated, needs time (8/10). 12. Le Carré 2009. Garage production (300 cases!) from Jonathan Maltus. 88% merlot from low yields (35 hl/ha). From a 1 hectare parcel that was bought from Canon. Spicy, very dark, mineral, stony and concentrated (8/10). 13. Le Dôme 2009. Maltus' top wine. Fascinating cuvée made from 80% cabernet franc, on sand over crasse-de-fer. Very powerful, stony, hearty and very concentrated. A bit too concentrated for me, I'm afraid (8-/10). 14. Château Troplong-Mondot 2009. The base, the fruit, is good. And there's an attractive mineral aspect to the wine. But for me it is too concentrated, too hard. Perhaps for the far future (8-/10). 15. Château Fonroque 2009. Organic Saint-Emilion. Direct, healthy fruit. Attractive stuff with a proper backbone (8-/10). 16. Château Grand Corbin-Despagne 2009. Also organic. Animal touch in the nose. Bit sweet and hint of oak. Succulent though (7,5/10). 17. Clos la Madeleine 2009. Tiny property amidst various 1er grand cru classés. Hasn't been performing well for years, but in 2006 Hubert de Boüard started to help the domain and since they are making a modern, seducing and velvet-textured wine, a bit sweet also. Interesting to follow this domain (with a top terroir), can be drunk quite soon (7,5/10). 18. Château La Bienfaisance 2009. Open and accessible wines, inviting. Fruit is beautiful, pure and attractive. This wine can also be enjoyed quite soon (7,5/10). 19. Château La Confession 2009. Forward and expressive vital fruit. Good structure. An attractive wine altogether. Just don't store it too long (7,5/10). Before I write about the Pomerols I will publish this posting. I will probably add the Pomerols early next week. To be continued.